Dr. Adel S. Kebaish filed a defamation case in Fairfax County Circuit Court against INOVA Health Care Services and several doctors alleging defamation, breach of contract, tortious interference, conspiracy, wrongful termination and unjust enrichment. Defendants removed the case to federal court, where Dr. Kebaish filed an amended complaint. He later filed a Notice of Voluntary Dismissal and then re-filed the case in Fairfax. The case proceeded to a jury trial, and on the second day of the trial Dr. Kebaish invoked the Virginia rule allowing plaintiffs to take one voluntary nonsuit as a matter of right. INOVA objected, arguing that because Dr. Kebaish had taken a voluntary dismissal in federal court, he had effectively already taken a nonsuit. The trial court disagreed and allowed Dr. Kebaish to nonsuit. INOVA appealed. On appeal, the court was guided by well-settled principles of statutory review which bind courts to the plain meaning of statutory language and require them to apply the expressed legislative intent. Virginia’s nonsuit statute was first enacted in 1789 and applied only to actions at law tried by a jury. The statute was amended in 1932 and again in 1954, the later amendment providing for a voluntary dismissal as a matter of right only up to the time the suit had been submitted for decision at law or in equity. Courts have recognized that the 1954 amendment intended the term “nonsuit” to be used in a comprehensive sense whether at law or in equity. The current nonsuit statute allows a plaintiff to take one nonsuit as a matter of right before a motion to strike the evidence has been sustained, before the jury retires, or before the action has been submitted to the court for decision. Va. Code § 8.01-380(B). In federal court, a plaintiff may take a voluntary dismissal as a matter of right before the opposing party serves either an answer or a motion for summary judgment. Fed. R. Civ. P. 41(a)(1)(A)(i). 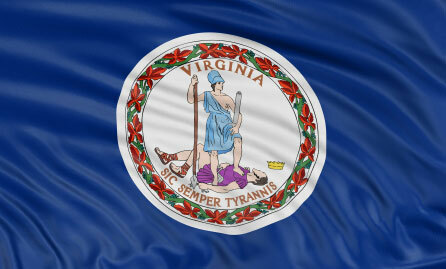 The court compared the Virginia nonsuit statute with the Federal Rule providing for voluntary dismissal and found that although a nonsuit and a voluntary dismissal under the federal rules both provide a plaintiff with a similar procedural right, the right to a nonsuit is much more expansive. A voluntary dismissal is available only if exercised at the outset of proceedings whereas a nonsuit may be exercised much later – even at trial. The nonsuit statute does not address the impact of a plaintiff’s prior voluntary dismissal in federal court. INOVA cited the statute’s tolling provision which applies “irrespective of whether the action is originally filed in a federal or a state court and recommenced in any other court…” Va. Code § 8.01-229(E)(3). The court found that the plain language of the tolling statute demonstrates that the reference to actions originally filed in federal court applies only to the application of the tolling provision and was not instructive in the instant case. INOVA also cited case law providing that “[f]ederal court practice…does recognize procedures which are substantially equivalent to Virginia’s nonsuit…” but the court did not find that language applicable either. Rather, the court found that a nonsuit is only the functional equivalent to a voluntary dismissal to the extent that both provide a plaintiff with a method to voluntarily dismiss the suit up until a specified time in the proceeding. The court held that the trial court did not err in finding that Dr. Kebaish was permitted to take a nonsuit as a matter of right.